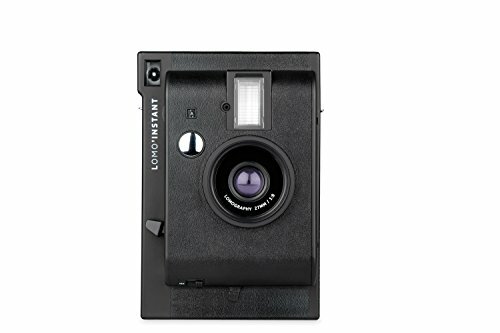 The Lomography Lomo instant camera is the perfect size to take with you and shoot great photos wherever and whenever. The camera comes with 3 modes and an ultra-advanced lens system that gives you a variety of shooting options including wide angle and portrait. There is a setting for daytime shots and night shots with a flash and for light-streaked photos as well. The camera comes with 4 colour gels and the largest aperture setting in the instant photography world, and it works with the high-quality and widely available Fujifilm Instax Mini film. Never again miss a photo opportunity thanks to this quality and stylish camera.